1 In the bowl of a food processor, combine all ingredients except the chicken legs. Pulse until mixture is smooth. Rinse the chicken under cold running water and pat dry with paper towels. Separate the chicken leg from the thigh, using a sharp knife. Place the chicken in a 9 x 13-inch baking dish. Pour the marinade mixture over the chicken. 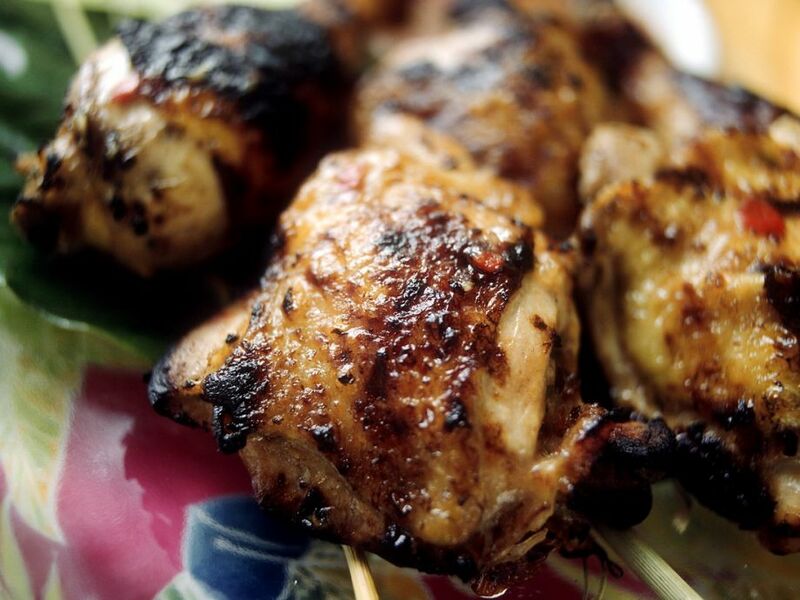 Using your clean fingers, massage the marinade into the chicken, making sure to push some up under the skin. Cover chicken with plastic wrap and refrigerate for at least 8 hours or overnight. 2 Set the grill up for direct grilling and preheat to medium-high. Brush the grill grate with oil. 3 Place the chicken on the grill and cook, turning occasionally, until the chickens browns on all sides, about 10 to 12 minutes. Transfer chicken pieces to indirect heat and continue cooking, turning occasionally, until chicken is cooked through, about 30 minutes. Transfer chicken to serving platter. Serve.